When you and your family are exploring the state of Tasmania, don't miss its capital, Hobart. Situated 2 kilometres west of downtown, you will come across the exciting neighbourhood of West Hobart. Those chasing a jam-packed holiday in Hobart will be enamoured by its many attractions, including the Cascade Brewery, theatre Royal and Mt. Wellington. Roaming around West Hobart and its surrounding area almost always involves taking some time to see the St. David's Cathedral and the Royal Tasmanian Botanical Gardens. Shoot the breeze with a local winemaker at Sullivans Cove. Remember to check for wine tasting sessions! The Islington Hotel and The Henry Jones Art Hotel are perfect if you want to rest your head nearby. To learn about the policies and governance here, add Government House to your to-do list. Try The Corinda Collection and Somerset on the Pier Hobart to be within easy reach of this attraction. 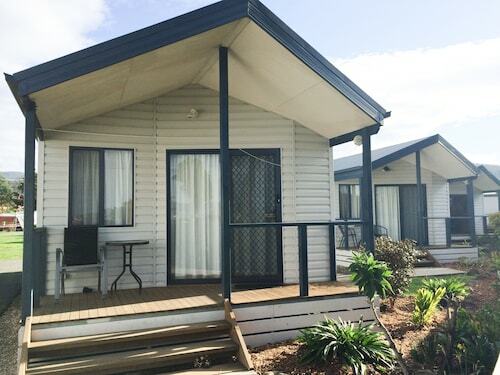 West Hobart has a good range of accommodations for most kinds of travellers. However, if you're planning on spending a little more, it is worth considering the Bay View Villas. Interested in checking out a cafe or two in West Hobart? Whether you're meeting friends or simply relaxing back in a cozy corner with a good book, you can't go past Central Cafe Bar. If coffee and cake isn't going to be enough, go and take a look at the menu at Customs House Hotel. Everyone will find something to their liking at this well-loved eatery. Before strolling back to your hotel, why not swing by Hotel Grand Chancellor for a couple of drinks? Both beer and wine drinkers will be well looked after here. No worries if you cannot secure the ideal West Hobart hotel. 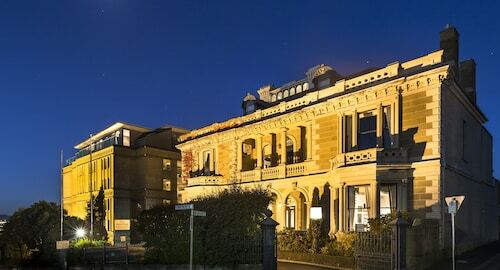 You will discover more places to get a great night's sleep in the North Hobart hotels guide and the Wotif Hobart CBD hotels guide. North Hobart is 2 kilometres from West Hobart and Hobart CBD is approximately 2 kilometres away from West Hobart. If you are ready to stop working and start adventuring, Wotif will help you sort it out, from hotels and flights to car hire and activities. How Much is a Hotel Room in West Hobart? Hotels in West Hobart start at AU$90 per night. Prices and availability subject to change. Additional terms may apply.